Yet another outstanding creation of Hans J. Wegner, which combines style and elegance with high level of comfort. 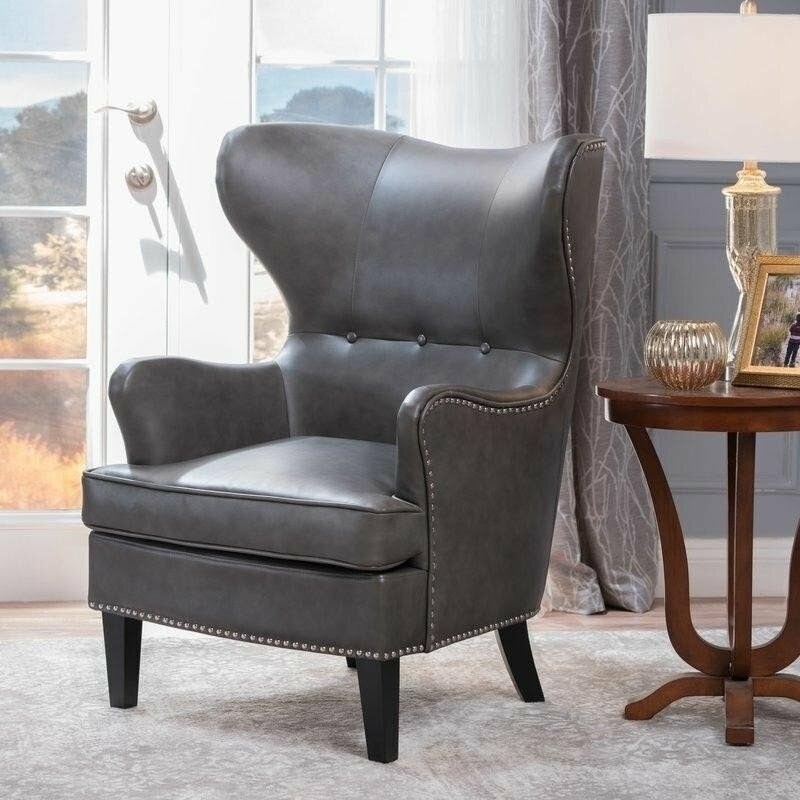 The CH445 Lounge Chair, commonly known as the Wing Chair, was designed as a fresh, modern take on comfortable, ponderous, tufted armchairs found in the elite gentlemen’s clubs. Owing at least in part to its complicated manufacturing process, the chair remained just a prototype for 46 years before being rediscovered and put into mass-production in 2006. Nicknamed ‘The Master of the Chair’, Hans J. Wegner designed the Wing Chair. It was his great passion for the design of chairs that eventually made Wegner a legendary figure in Danish Modernism and world-famous furniture designer. He created more than 500 chairs, many of which went into mass production. The prototype of the Wing Chair was introduced in 1960 and unfortunately shared the fate of many of Wegner’s designs from that period, including the Oculus Chair and the Elbow Chair. For almost half a century, the chair remained a prototype before winning enough attention and becoming commercially available. The Wing Chair was brought back to life by the Carl Hansen & Son furniture company. Thanks to the close cooperation with the Hans J. Wegner studio, which provided Carl Hansen & Son with Wegner’s original sketches from the studio’s archives, the final version of the chair was ready to launch into mass-production by 2006. This furniture design classic, produced under the new brand, enjoyed instant commercial success thus finally fulfilling Wegner’s core belief; that a chair is only finished when somebody actually sits in it. To the trained eye, it is apparent that the CH445 shares many features with other Wegner’s designs from that period. The generous back rest, sloping arm rests and tubular, steel base can be also found in the Ox Chair and the Oculus Chair. The form of the chair is sophisticated and rather unusual, yet modern and pure. Its design embodies its creator’s famous credo: “A chair should have no rear view. It should be beautiful from all sides and angles." Indeed, the chair with its famously organic shape is very appealing and futuristic from any angle. Its shell is made from multiple beech wood components, which are connected with dowels. The frame is then buffed for a smooth, seamless finish. The sophisticated manufacturing techniques, including wood bending and CNC (Computer Numerical Control) routing, utilized in the production, highlight very clearly why the chair’s production was impossible with the technology available in the 1960’s. The CH445 Lounge Chair’s shell curves around the person sitting in it, giving the chair its famous cozy, intimate feel. Its sloping arm rests and generous back rest give the chair its regal, throne-like appeal. The high level of comfort can be attributed to the high-density urethane foam, which is then covered in either supple, high-quality leather or woolen upholstery in a wide variety of colours. Perhaps one of the most distinctive features of the CH445 Lounge Chair are the pointed corners of its back rest. Hence the chair’s name – “The Wing Chair”. The Wing Chair rests on a slanted stainless steel brushed frame made of welded circular tubes. The base adds visual lightness and provides a balanced contrast to the capacious seat. In order to reach the absolute heights of comfort and relaxation, customers can combine the Wings Chair with the matching CH446 Ottoman. Although the chair looks like a masterpiece of modern art, it is fully functional and very comfortable, with the shape allowing the user to assume a wide range of positions. Its cutting-edge futuristic design, combined with the impeccable quality of craftsmanship, has earned the chair a very special place in the history of interior design. This timeless piece of furniture still looks extravagant and intriguing, making it a great, tasteful addition to any modern interior. The Wing Chair was reintroduced at the IMM Cologne International Interiors Show 2006, where it won the classic innovation award for its timeless appeal. The most demanding customers can order their CH445 covered in the upholstery designed by Paul Smith, a famous British fashion designer.